OTHER PARTS OF THIS ARTICLEPt. 1: Strategies That Extend the Performance Life of BoilersPt. 2: This PagePt. 3: Boilers: Repair or Replace? To ensure boilers continue to operate energy efficiently, technicians need to ensure its heat-transfer surfaces remain clean. Scheduled inspections and cleanings, combined with a water-treatment program, are critical steps in keeping units operating safely, reliably and efficiently. Operators also must regularly adjust combustion controls. Boilers use excess air in order to ensure complete combustion of the fuel, but too much air results in increased stack losses. The frequency at which operators adjust the controls depends on the application and the boiler’s size. Boiler maintenance also should include the distribution systems they supply. It is counterproductive to generate steam or hot water efficiently, only to lose it to an inefficient distribution system. Technicians should inspect systems regularly for leaks, damaged insulation, failed steam traps, and other deficiencies. Managers, operators and technicians who perform effective inspection and maintenance of boilers will have a better understanding of the system’s strengths and weaknesses. The next step is to take that information — especially the weaknesses — and develop an action plan for improving the overall operation of heating systems. The first step is to compile a list of measures to implement that improve operations and examine each measure on the list to see if several of them can be combined. For example, if a building is served by one older boiler that is being cycled to track the changing heating load, it might be more cost-effective to scrap the entire boiler and replace it with several smaller, modular boilers. For each measure that is identified, managers should develop a detailed cost estimate. 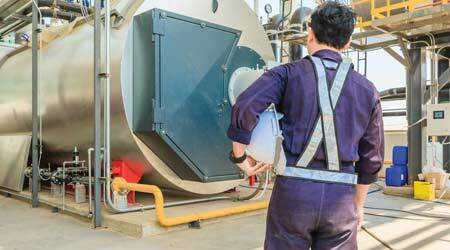 If the measure improves the boiler’s operating efficiency, managers will have to determine the measure’s economic impact and calculate its payback. If the measure improves the system’s reliability or its operating safety, the manager then will have to develop a detailed description of the way the operation would benefit from the measure. 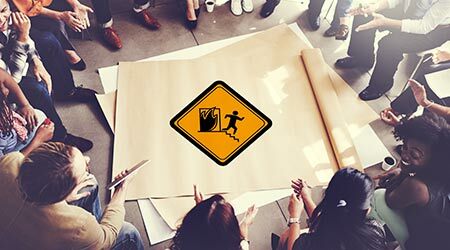 Managers who develop a description of the economic, operational and safety impacts of each measures will be better able to understand and, therefore, sell the program to upper management. Depending on the type of activity and the availability of skilled maintenance personnel to perform it, managers might have to contract out a number of the measures. It is advisable to start this process early to ensure that qualified firms will be able to perform the work in a timely manner and according to a schedule that best suits the organization. Since there most likely will be too many items to complete at one time, managers need to prioritize. Typical factors to consider in this process include the impact the measure will have on energy use, safety, reliability and maintenance. Managers can implement some measures without having to shut down the boiler, but they will have to defer other measures until after heating season. Boiler audits should not be one-time efforts. Why? Buildings change, heating requirements change, and equipment wears out, fails, and goes out of calibration. To keep the boilers operating at their peak efficiency, managers should schedule time for operators to conduct reviews and audits regularly.